Culture and traditions of Columbia are a unique mix of Indian, European, African and Latin American traditions. Add here beautiful nature and traditional hospitality of local people, and you will understand why the country has become a perfect vacation destination for millions of travellers worldwide. The capital of the country, Bogota, has a striking contrast of old historic buildings and modern skyscrapers. It’s normal to see both pack mules and modern cars on streets of the city. 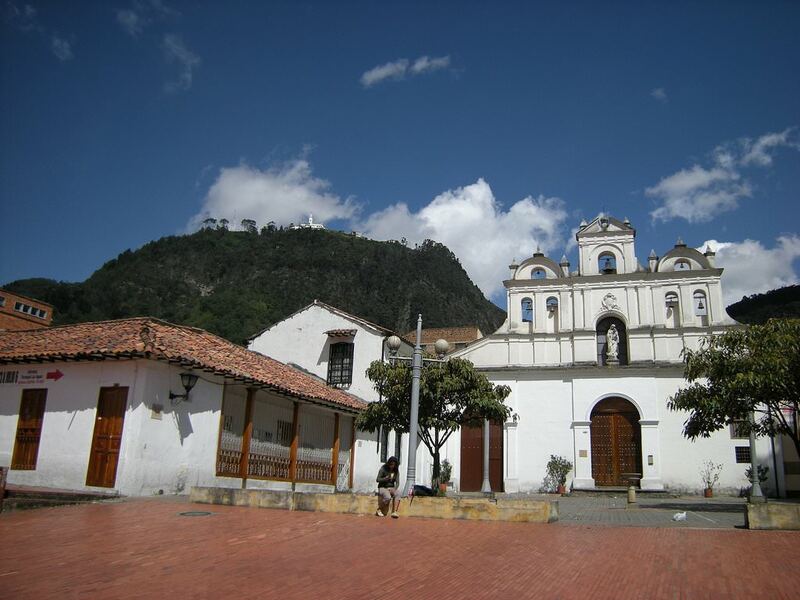 Main landmarks of Bogota are located in old quarters, where among curving streets one can see ancient churches, monuments and old mansions. There are several interesting sights on Plaza Bolivar, such as Primal Cathedral built in the 16th century, the President Palace, and the monument dedicated to the first president of Columbia. Santa Maria is the oldest city of Columbia, so it has many interesting places to visit. Travellers should not forget to visit the Museum of Bolivar that exhibits a large collection of precious items. One more important landmark is located close to the central part of the city. This is La Villa de San Pedro Alexandrino, which was constructed in the 17th century. This is the place where Simon Bolivar spent last years of his life. When it comes to religious landmarks, the most famous one is Santa Maria Cathedral, the building of which was started in the 17th century and lasted nearly 100 years. Santa Maria suburbs are the location of one more interesting place – the national reserve called Sierra Nevada del Santa Martha. Travellers are recommended to take a look at it as this place is a wondrous combination of ecocentres, where dry deserted places meet dense tropic forests. The town of Cartagena is an interesting place from the historic point of view. The old part of the town is home to numerous colonial period buildings and museums. In Colombia there are excellent beaches with the modern infrastructure. The most attractive of them are the resorts of Santa Marta and Cartagena. They are quite small, so they will impress fans of recreation in an uncrowded atmosphere. These resorts seem exotic to many travelers because of dark silver sand covering the coast. Those who like vacationing in a romantic atmosphere should pay their attention to the resorts of San Andreas and Providencia. It will please its guests with fascinating beaches with snow-white sand. Colombia also attracts shopping enthusiasts who come here to buy jewels with gemstones and unusual hand-made accessories in the national style. 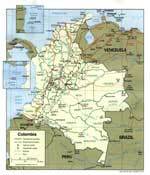 Colombia is the richest country in terms of deposits of precious metals and gems in Latin America. As for the emerald export, the country takes the lead in the world. In local jewelry shops, you can buy luxurious golden and silver jewels with emeralds, which are much cheaper here than in other countries. The tourists who are indifferent to precious accessories are not recommended to buy secondhand gems and jewels in the streets, as you are likely to buy a cheap and low-quality forgery. The most popular Colombian souvenirs are rite masks, clay items and crockery, and national musical instruments. Shopping enthusiast should pay a special attention to coffee of the local production that is famous all over the world. Some coffee plantations were formed in the colonial period. Today, you can buy multiple Colombian coffees in local specialized shops. The national cuisine of Colombian deserves a special attention too, as it is quite inexpensive and very practical. The foundation of the national cuisine is maize, beans, potatoes, and rice. At national restaurants, you can taste exotic seafood and nourishing spicy meat dishes. Spices are the most favorite souvenirs of the fans of food tourism but it is better to buy them on the market. This article about iconic landmarks and sights of Colombia is protected by the copyright law. You can re-use the content, but only under the condition of placement of an active link to www.orangesmile.com. Gramalot city became known beyond Columbia thanks to a mysterious fault. In December 2010 the city began to move and in the earth has appeared large rifts. Hundreds of houses and roads were destroyed. At first, local mass media explained these changes as a reason for strong winds. However, this theory had no science approves. We still don't know what was the real reason for the city destruction. 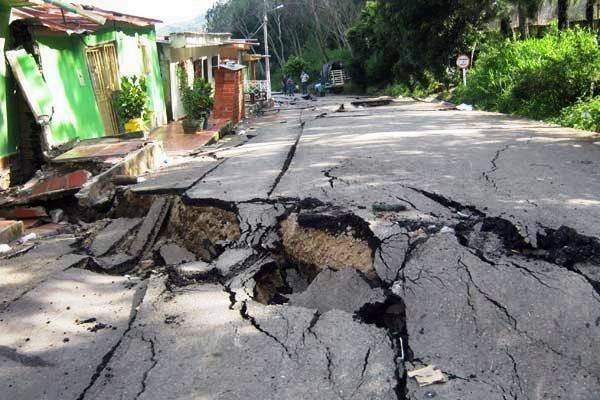 Some scientists think that the whole city had a large tectonic fault for thousand years but it wasn't active. No less than a year will be spent to claim this theory. The population at that time was more than 7 800 people. All people were evacuated to safe places. Less than in a day the city was practically destroyed. Nowadays we can see only several streets that were saved. Alberto Lleras Dam is another touristic place of interest in Columbia. People usually call it "Alberto Lleras" as the principal software engineer. Nevertheless, the official name of the dam is Guavio Dam, in honour of the river. The dam was taken into use in 1989. Its height is 243 meters and length 390 meters. The artificial reservoir’s volume is 4 200 cube meters. This is an earth-fill barrage dam. It was built for giving the area a sufficient amount of electrical energy. 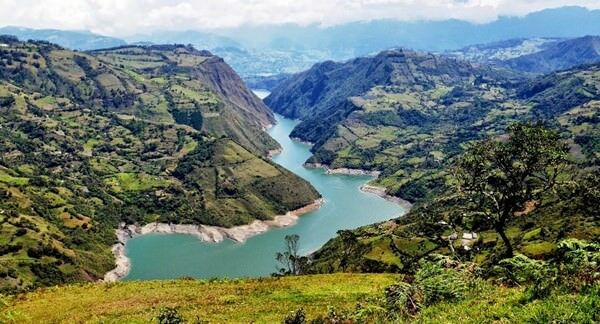 The Guavio Dam is located in a very beautiful area which adores people with its marvellous mountain scenes. Nature didn’t suffer from the building of the dam. The islet of Malpelo is lost among the vast waters of the Pacific Ocean. That's also a landmark of the world importance. The rocky island is uninhabited. Its length is about 1850 meters, and the width is 600 meters. In fact, the main object of interest is not the rocky island but surrounding waters, which are home to rare species of sharks, fish, and other inhabitants of the deep sea. 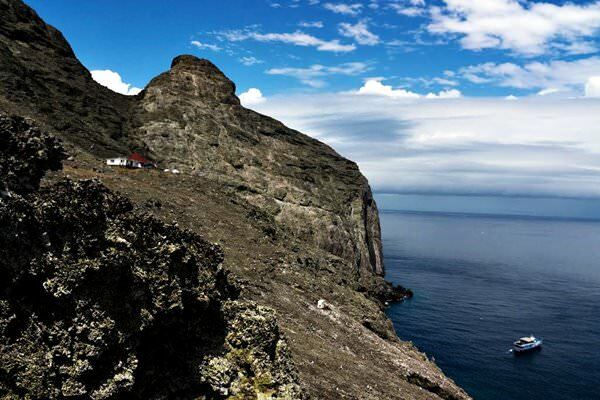 This is where researchers were able to see several rare species of sharks, including silky shark, whale shark, frilled shark and hammerhead shark. A rare sand tiger shark was found in the vicinity of the island.